I opened up a mailer and found this ADORABLE lil' box! I felt like it was so special just by the way it was tied with that cute bow! I knew what was inside the box had to be even more special by the care of the wrapping. Inside, I found the cutest, highest quality, silver hand stamped charm! 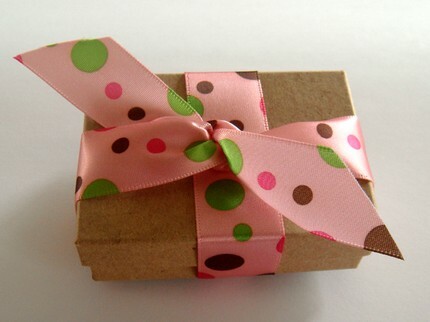 This little box came from KristyLynnJewelry's Shop on Etsy. Here is her store announcement: Welcome to my shop where you can find unique personalized hand stamped jewelry. Each of my pieces are individually designed and handcrafted by me for you, using quality materials, sterling silver and genuine swarovski crystals. Please take a look around and if you don't find exactly what you are looking, for please feel free to convo me and we can work on a piece that's just right for you. Kristy also includes a tutorial link for those who have never purchased an item on Etsy! You can find that when you go to her page! I thought that this was a GREAT idea! Sometimes people are afraid to order online and this tutorial is very helpful. I reviewed the Kiss The Cook charm and she is offering one for my giveaway! 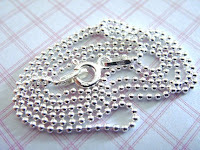 This is an 18 inch sterling silver ball chain necklace. 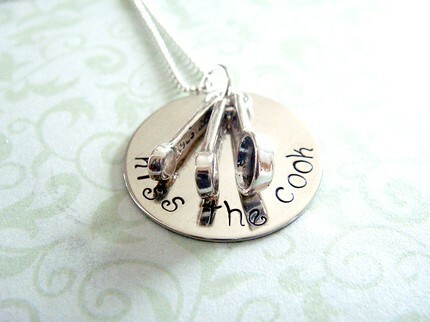 Attached is a 7/8 sterling silver disc hand stamped with the words "kiss the cook". Also included is a set of measuring spoons sterling silver charm. All my jewelry is hand stamped by me on a sterling silver disc. Please note that no two pieces are alike, letters and numbers may not be perfectly straight and the spacing may vary. This is what makes your piece unique and one of a kind. *this photo is only a representation, all my pieces are custom made to order. Please feel free to convo me if you have any questions or special requests. My Take on the Product: WOW! YES WOW! I was blown away by the little bow tied box and then when I opened it I was amazed at the beauty of this charm and chain. The sterling silver disk is smaller than a quarter, just the right size to wear as a charm. The little measuring spoon charms ARE ADORABLE! They are so dainty and very real looking! As one of my girls said, "they are measuring spoons for a mouse!" I tried bending the disc (I know silly me) and it didn't budge. I was curious as to the strength of the material. I would expect to find her hand stamped jewelry in a fine gift store! These would be great in Hospital Gift Stores, too. Here are a few of her other products. The one that I was most impressed with is the SAVE THE GULF SEA TURTLE. She is offering 20% of the sales to the National Wildlife Foundation to help with the Gulf Oil Spill! To enter-Go check out Kristy's store, Kristy Lynn Jewelry and tell me something you'd love to have and or something you learned about her products ! Please leave your email address with this entry. BONUS ENTRIES (do one, all, none, up to you! Better your chances. Leave a separate comment for each entry. So if it is worth 5 entries, leave that comment 5 times! 5- Go check out Kristy Lynn Jewelry and do one, some, all of and get 5 entries each! 6- Leave a comment on any COFFEE POST or any of my other giveaways (see bottom of post for link list) from Aug 1st-30th and come back here and tell me which one you did for 5 extra entry every time you leave a comment. So check back all month. New one added daily. My daughter-in-law would love the And on my toes - Salty air. I love the Cupcake and the I <3 my Breed, charms. Love the Military knecklaces, especially the one that says my husband is a hero. Kristy Lynn is the best! Also like her Always in my Heart necklace! Subscribe to Kristy Lynn's feed! I LOVE the sand dollar necklace... my son and I live at the beach! 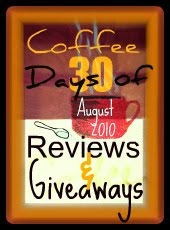 tweeted "Coffee Month Day 6- KISS THE COOK Sterling Silver Giveaway http://bit.ly/KissTheCook"